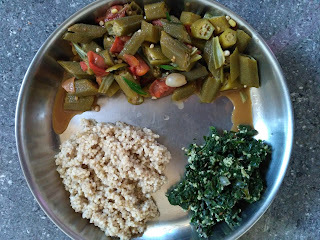 Any one of the vegetables of your choice can be used for Poriyal preparation. Sprinkle little bit of water and cook the vegetables for 2 to 3 minutes. Cover it with a lid while cooking. Add Sambhar powder and mix it well. When it becomes slightly cool, add the grated coconut. 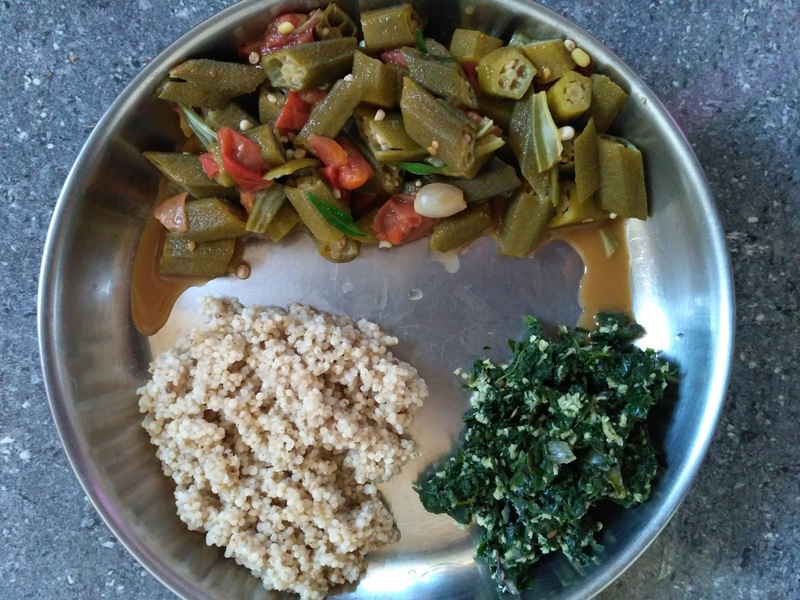 Bitter Gourd & Ladies Finger poriyal can also be made without oil. Cut the bitter gourd into small pieces. Add little bit of water and cook for few minutes. When it is cooked for 3/4, add chopped tomato. It will become mushy and mix well with bitter gourd. Add 1/4 table spoon of chilli powder and saute for a minute. Meanwhile grind 1/4 cup of grated coconut and 1/2 table spoon of cumin seeds and keep the paste ready. After turning-off the stove, put coconut-cumin paste in the vessel, add salt and mix thoroughly. Put chopped ladies finger and big onion in a pan. Add chopped tomato and saute till the vegetables become soft. Add chilli powder and saute for a minute. Turn-off the stove and add salt.